With regard to the product, the bike is pretty sturdy and overall we're pleased, BUT we originally went through the \"Site to Store inch process and the box containing the first bike was completely destroyed with holes, and missing/broken parts (reflectors: one broken and one with a missing spoke bolt), and most importantly, the rear wheel was completely warped so we had to return it to the store. We looked around the offerings in the outdoor garden center and were only able to find one other model like the one purchased and it had a note stating it was damaged (broken gears). The design of the bike along with lower than average cost, coupled with pretty decent reviews elsewhere still prompted us to look around again for this specific model, and luckily we found one inside the store in the toy department. We purchased it on the spot and I had my teenage son ride it around in the parking lot just to cycle through the gears and we've had it for a couple weeks now with several rides around the neighborhood and library trips. So far a decent bike for the money. Tbook.com crawls the web to find the best prices and availability on Mountain Bikes and related Toys products like Roadmaster Granite Peak 26" Men's Mountain Bike, Black Blue. For this page, related items include products we find that match the following keywords: "Mountain Bike" at our vendor partner Walmart. 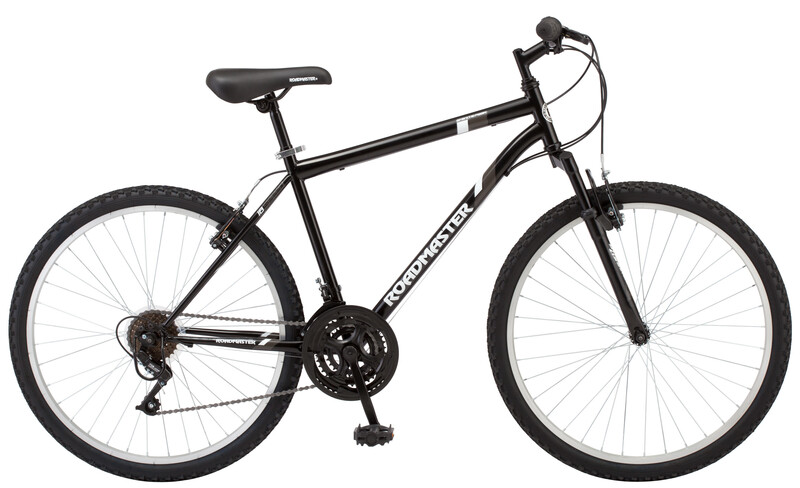 Roadmaster Granite Peak 26" Men's Mountain Bike, Black Blue is one of 17 Mountain Bikes and related products listed in the Toys section of Tbook.com If you have any questions on this product, please give us a call at 734-971-1210 during the hours of 9am - 5pm EST for assistance. Thank you for shopping at Tbook.com, the Internet Department Store!